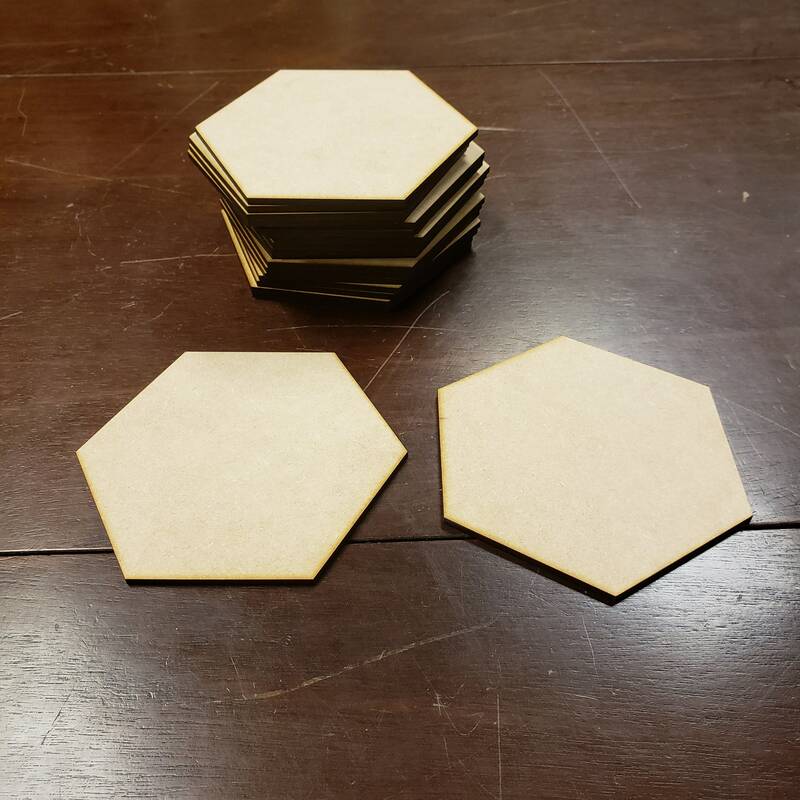 These are laser cut blank MDF hexes. The hexes are 1/8" thick and are approximately 4 5/16" at the long side by 4 1/16" at the short side. *There could be as much as a 1/16" + or - variation on these tiles as their exact size is based on the speed and power I have to use to cut them out and that can vary based on the thickness of the sheet I am cutting them out of. These tiles come unsanded and will show some scorch marks on the bottom side.